Can Hiring A Social Security Disability Lawyer Expedite Your Process? 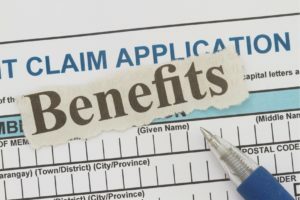 The 2016 Annual Statistical Report on Social Security Disability Insurance Program revealed that around 10.2 million people in the U.S. were provided with social security disability insurance (SSDI) per annum. SSDI pays a monthly benefit to individuals who became disabled before their retirement age and are unable to work. However, there are some other prerequisites for obtaining SSDI benefits besides disability. For instance, an individual must have worked for a certain number of years in a job and paid their social security taxes, otherwise, they may be selected for supplemental security income (SSI). Why Should You Hire A Social Security Lawyer? Harold W. Conick& Associates Ltd. is a Wheaton, IL Social Security Disability and Veterans’ Disability Lawyer representing clients throughout DuPage, Kane, Will, Kendall and Cook Counties and throughout the state of Illinois including but not limited to Wheaton, Naperville, Glen Ellyn, Winfield, Lombard, Downers Grove, Lisle, Carol Stream, Bartlett, Oak Lawn, Glendale Heights, Villa Park, West Chicago, Palos Heights, Palos Hills, Warrenville, Orland Park, Westmont, & Woodridge. © 2019 Harold W. Conick & Associates Ltd.